All our Merino Wools are sourced from fibre production in Australia. All our types are shorn fleece wool and have superior length and soft handle. 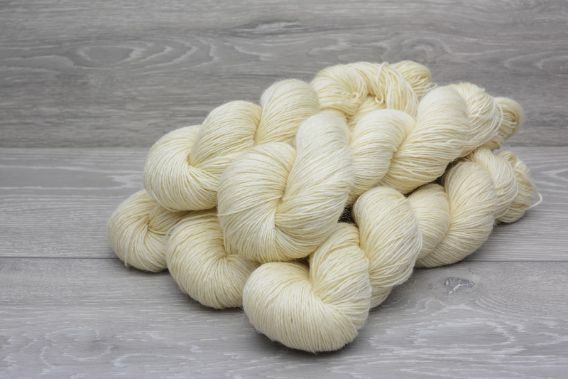 Blending superwash treated Merino with Silk creates smooth and silky yarns with a unique lustre. Mulberry silk is very fine and long and produces merino/silk yarns thar shimmer in the light. 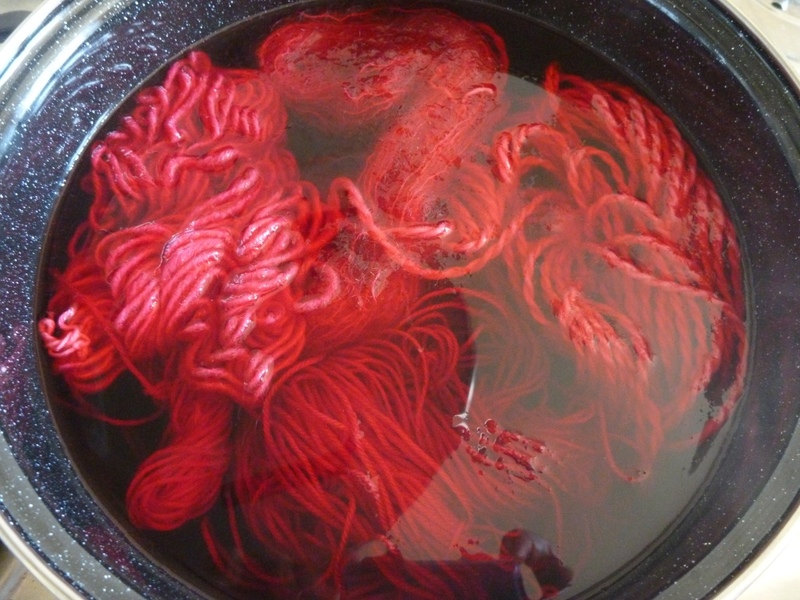 These yarns dye up beautifully to produce intense, clear colours. 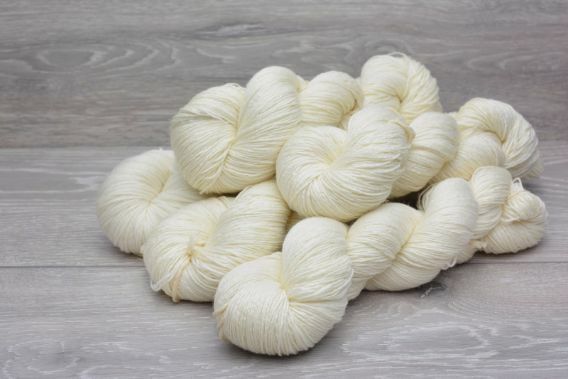 Tussah silk is flatter and thicker than mulberry silk and gives a unique pearly sheen and crinkly texture to our merino/tussah silk yarns. 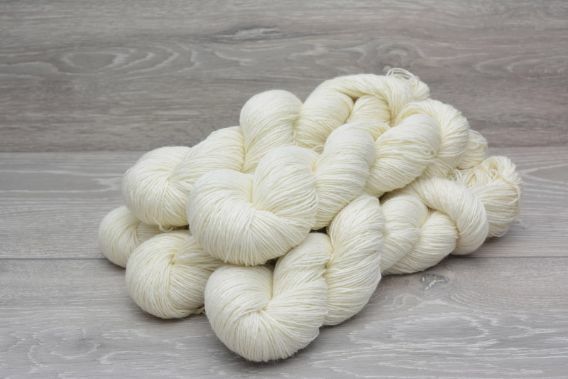 These yarns dye up beautifully to produce intense colours with a pearly lustre. The Bluefaced Leicester is the finest UK wool commercially available today. It has a completely unique character combining softness with a silky texture and sheen. On the animal, the fleece is formed from long "locks" of fibre giving the sheep a distinctive look. Bluefaced Leicester is one of the longest wool fleeces available and the yarns are therefore stable and very hard wearing and low pilling. The breed is a cross between Merino and Lincoln Wool devloped in the late 18th century originally in Australia to provide a hardier animal and more suitable to the highland pastures, the breed was first introduced into New Zealand in the 1930's . We use only the finest Kid Mohair available produced from the first shearing of the young Angora (Mohair) Goats. Therefore, yarns made from superfine Kid Mohair is set apart from most Mohair yarns due to its supersoft feel and lack of scratchiness. Also, Mohair has about twice the thermal properties of wool and provides real warmth and comfort for the wearer. Grown in Peru we use only use the selected Baby Alpaca fleece having the finest fibre commercially available, this represents the very best of the world clip! 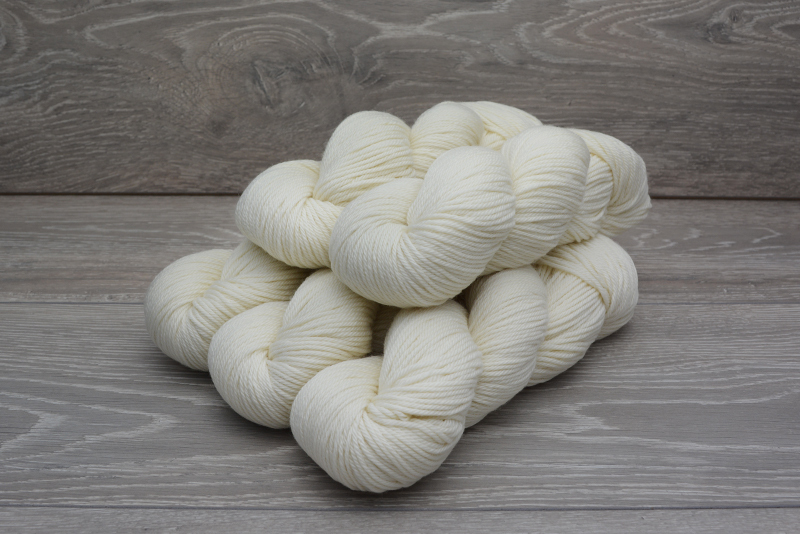 Baby alpaca is a lustrous and silky natural fibre that is soft and luxurious. It is It is warmer than wool, not prickly, and bears no lanolin, which makes it hypoallergenic. Our Natural Dehaired Baby Yak as fine as Cashmere and thus supersoft and Luxurious, this using the inner fleece (undercoat) of the Yak, worsted spun to lock in the fibres and reduce pilling. We use only longer fibres to provide for the worsted spinning process, these from the first shearing. Hypoallergenic and Lanolin free this unique fibre has only recently been appreciated for its many merits. All our types are shorn fleece wool and have superior length and supersoft handle. None of our types have been sourced from farms that employ the Mulesing system. With our "New Merino" types we have formed a unique supply of sustainable Merino where the farms involved take particular care to ensure that the animals are well kept, that the grading is of the very highest standard and that the land is sustained in an environmental way. 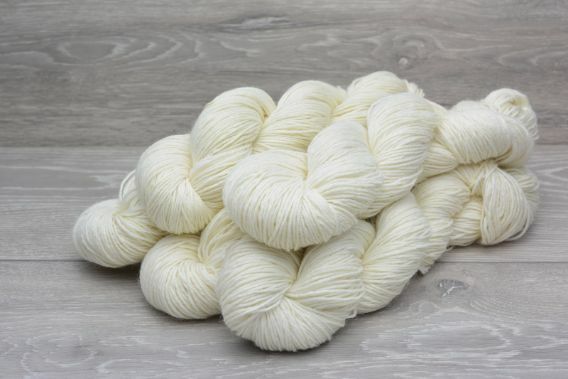 Would you like be creative and dye our undyed yarn at home? We supply starter hand dye kits. The kits contain all the ingredients you need (except vinegar) to dye 10-20 hanks of yarn and instructions for dyeing solid colours and multi-colours. We sell our yarns in single hanks so you can choose exactly which yarns you would like to dye.